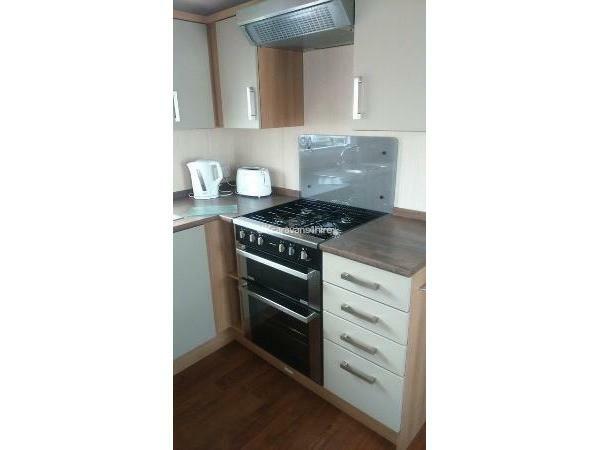 Additional Info: Beautiful top of the range caravan near the beach path at Kiln Park, Tenby. Reservations of accommodation are accepted at Guillemot 15 Caravan subject to the following terms and Conditions of Hire. 1. 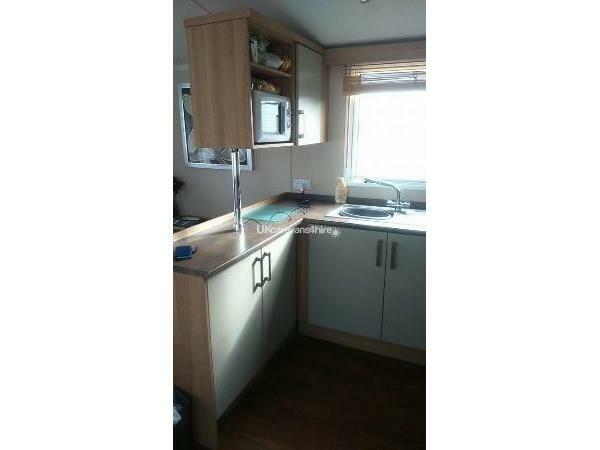 Contract :All bookings will form a contract between the Hirer and the Caravan owners. The contract will be deemed live when the £100 deposit is paid. 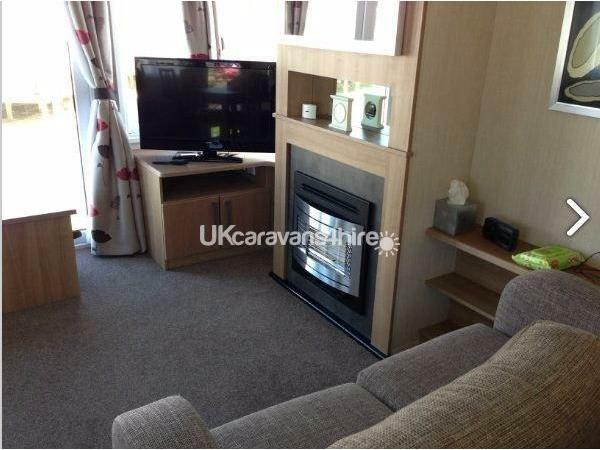 A caravan will not be a secured booking until the £100 payment has been received. 2. A provisional booking made via telephone, facebook,text or email and secured with a minimum of £100 deposit which is non refundable. 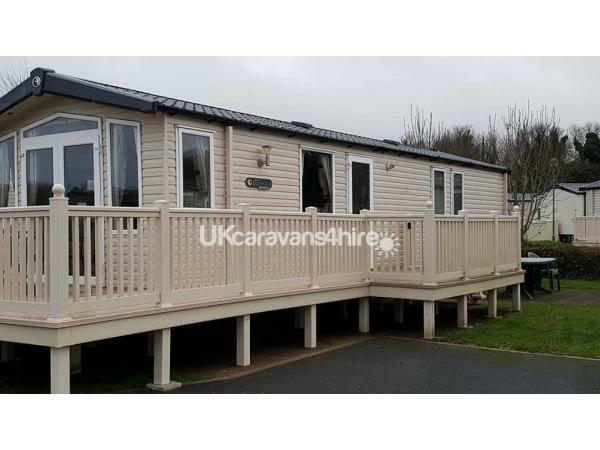 The Hirer must ensure that they have booked the correct caravan as the Caravan Owner will take no responsibility for a Hirer booking the wrong caravan or caravan park. 3. Outstanding balance payment must be received no later than 8 weeks prior to the commencement of the holiday. 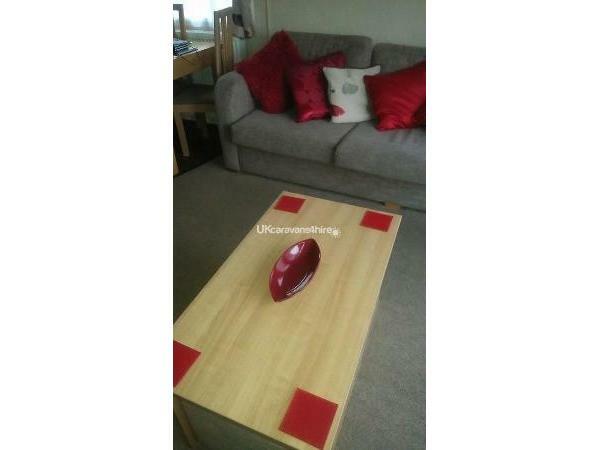 Once paid this is non refundable and therefore holiday insurance is recommended to safeguard against illness etc. If a holiday is cancelled within 8 weeks of the holiday start then no refund is due. The damage bond must be received no later than 8 weeks before the holiday. If the balance payment or damage bond is not received then the holiday may be cancelled without notice and without refund of monies received to date. Guillemot 15 Caravan owners will not accept liability for subsequent loss ie failure to pay for the holiday as required and the renter needing to book a holiday with someone else at a higher cost. The responsibility for payment of balances lies with the hirer and not the caravan owners. 7. Taking dogs or any form of pets without permission will mean loss of damage/respect bond deposit and additional deep cleaning costs . If pets are discovered at any time during your stay you will be asked to vacate the premises at once (unless it has been agreed in writing on the booking form with the Hirer) A maximum of 2 dogs are allowed and there is a charge of £20 for 1 and £30 for 2. 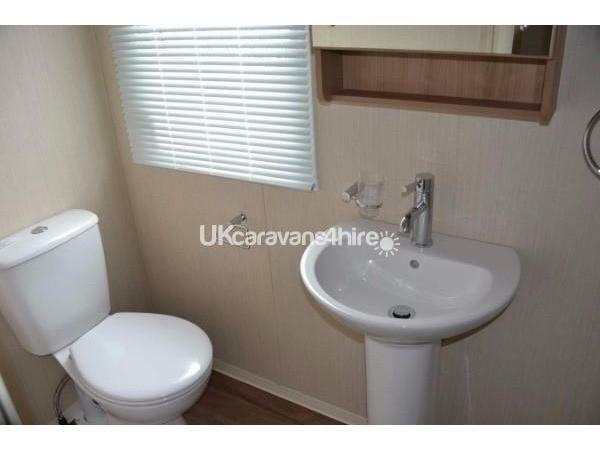 The caravan owners will only allow dogs that are completely house trained. Dogs are not allowed on the furniture or in the bedrooms/on the beds and must not be left unattended in the caravan for longer than one hour. 8. External factors: The owner has no control over, and cannot be held liable for external factors that could possibly affect a Holiday such as the weather, local traffic, local events, neighbours, children playing, electricity, gas and water supply and the vagaries of television and mobile phone reception, or any financial losses incurred as a result of external factors. the owner cannot be held responsible for problems associated with any services provided by Kiln Park, Tenby. 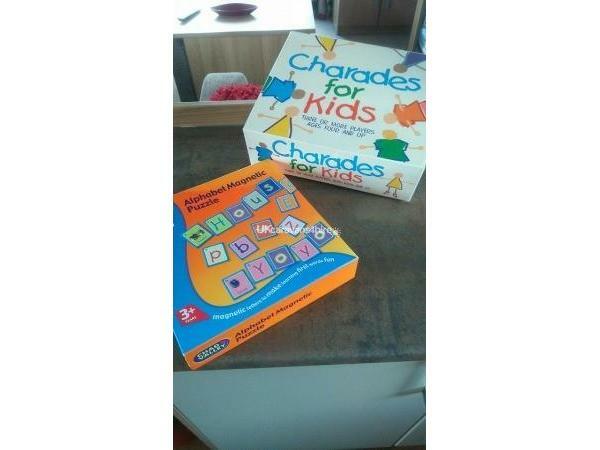 Internal Factors the caravan owners make every attempt to make the caravan as homely as possible by providing extras such as dvd players, games, buckets and spades etc however should these breakdown or go missing the owners will attempt to replace them at their earliest convenience. If there is a risk that anyone may wet the bed while they are using the caravan, we would respectfully request that the mattress is protected with a mattress cover, the damage bond of £100 will be deducted if a mattress is found to be damaged with urine. 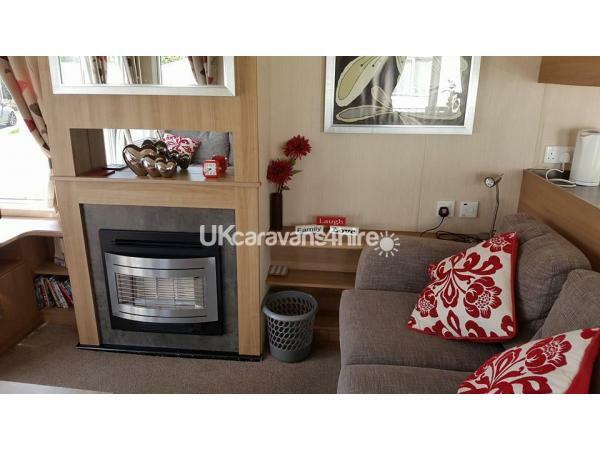 Whilst every effort will be made to rectify any issues arising in the caravan such as boiler breakdown, or electrical equipment failure the owners cannot be held responsible for any inconvenience caused or arising from such issues and no refunds will be paid. At Guillemot 15 you're just a short walk through the shoreline trees and shrubbery to the long sandy beach. It stretches all the way to beautiful Tenby, with its pastel houses and historic harbour. With lush landscaping all around, Kiln Park is simply a gorgeous place to enjoy nature. 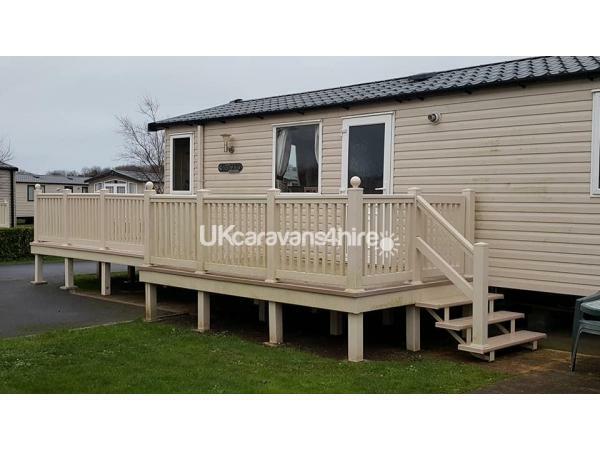 The location of the caravan is perfect with only a short walk to all the facilities. The caravan is in a prestigious part of the park. 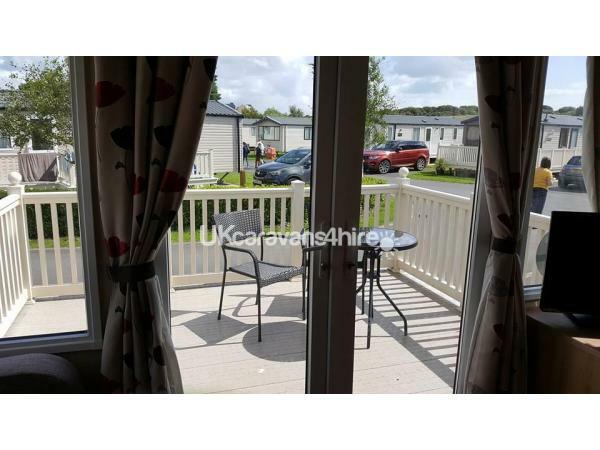 The caravan has its own private drive and there are parking spaces very near to caravan if you have additional vehicles. 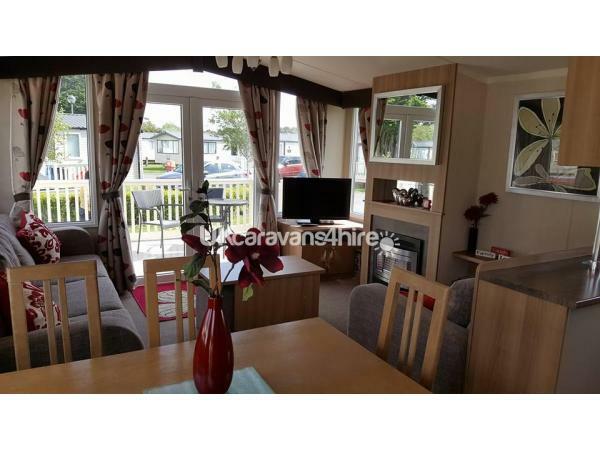 The caravan has a private garden with garden furniture, lawn and bbq area where you can sit and enjoy your holiday with outside or inside eating. 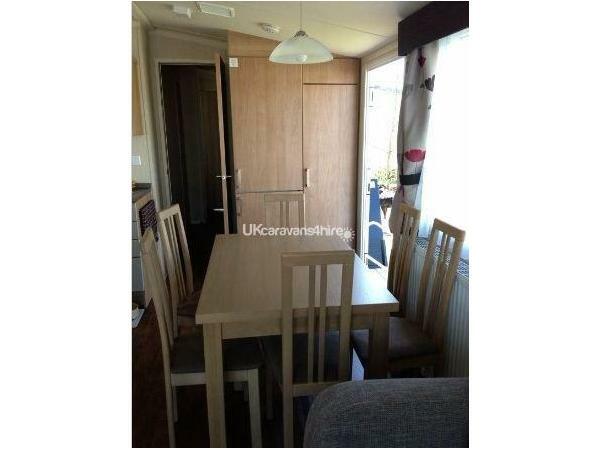 The caravan has front patio doors where you can sit and enjoy the garden and simply relax. Additional Info: Whether you love walking, cycling, or just generally being out and about exploring the countryside, you’ll love Kiln Park Holiday Centre. We’re right in the middle of the Pembrokeshire Coast National Park, and have the stunning Tenby beach right on our doorstep, so enjoying the great outdoors is easy! The only thing that might stop you from venturing out are all of the activities you can do on park – we’ve got both an indoor pool and an outdoor one with fun slide and mini SplashZone, a crazy golf course the whole family will love, and lots more sports and leisure activities to get involved in. There’s plenty of entertainment to keep you busy as well, so after a day of excitement why not sit back and catch a show?